This time I couldn’t find anyone to help me. Everyone was either working or sailing, so I went to Vrsar on the boat by myself… Charlie was the only one who was helping me. 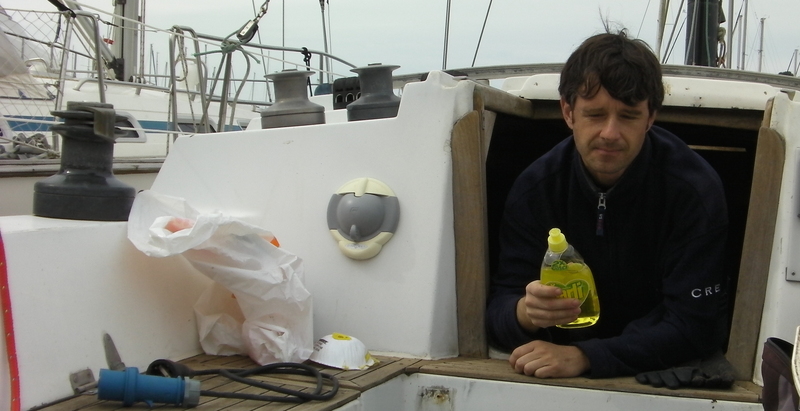 After seeing what Maja did with the kitchen, I decided to clean the whole boat. I tried to apply Čarli to see how it would work… and it was doing a great job, so I used it for everything. I have to admit that cleaning the locker in the bathroom was one of the scariest experiences I had in a long time. IT was completely covered in mould. It was really disgusting, but it had to be done. 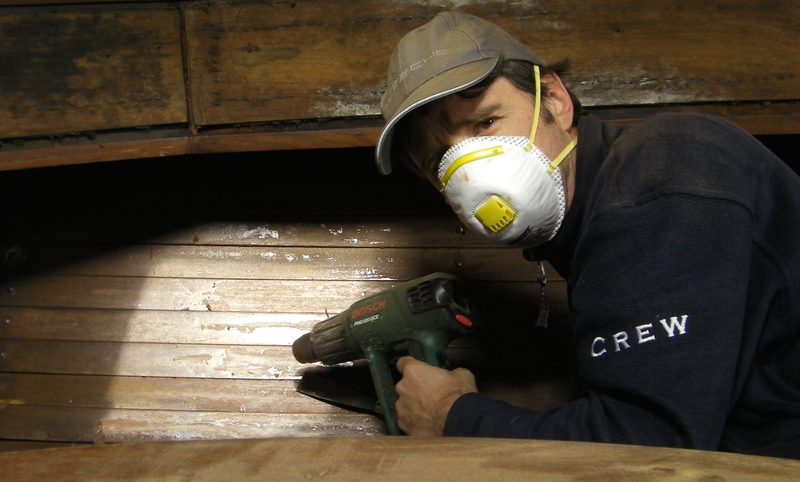 I borrowed from my friend Davor a sander and a hot air blower, so I wanted to try how they work, so I can prepare myself for what will be another big job on my list – stripping what is left of the paint and varnish in the interior. I sanded the main bulkhead. It was going slow and it was actually much more difficult than I thought it would be. I stopped sanding because I realized that I will also need a vacuum cleaner, otherwise the whole boat would end up in a complete mess. I then tried the hot air blower. 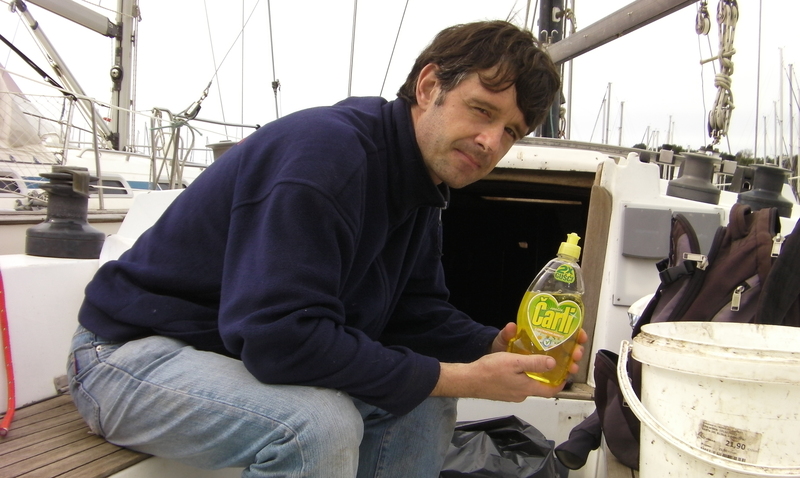 I was told that it should strip down the varnish easily, but I had a different experience with that. It worked really well on some places, not so well on other, but I learned that I will have to sand all areas anyway… but I found another great use for it. The interior is all very wet and humid, so the blower worked wonders to for the wood that would otherwise take forever to dry.